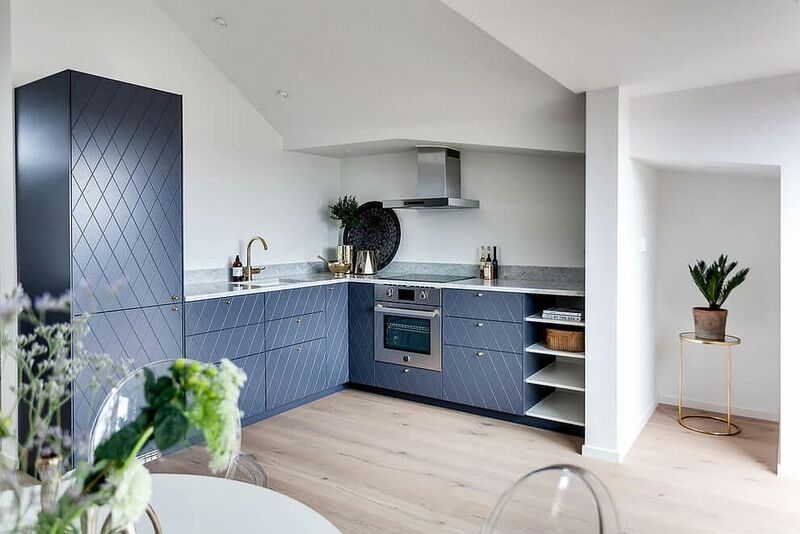 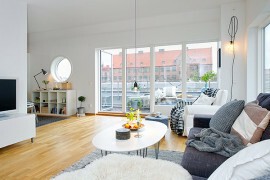 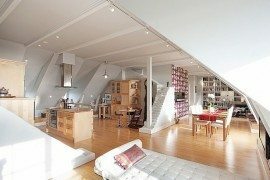 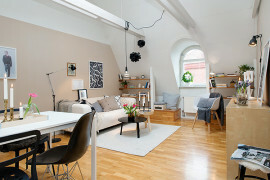 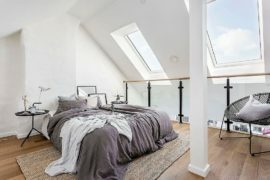 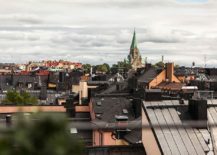 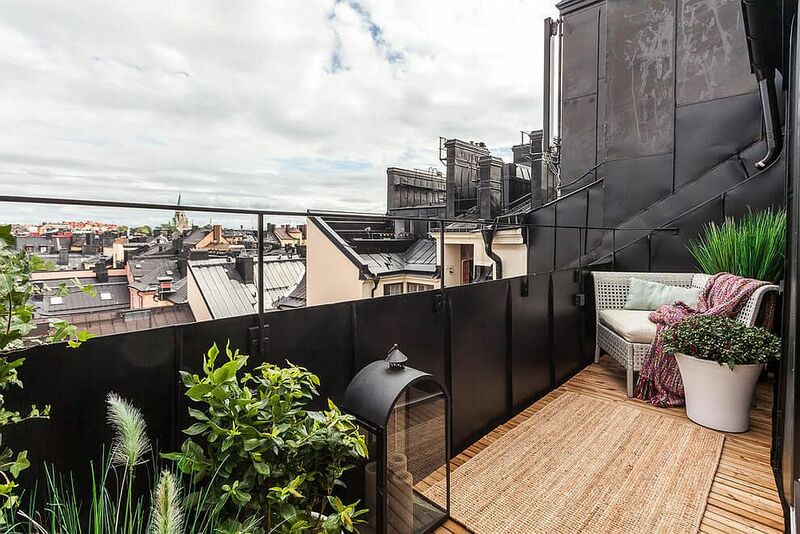 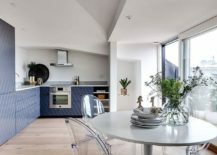 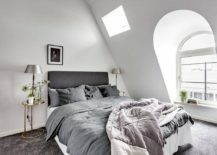 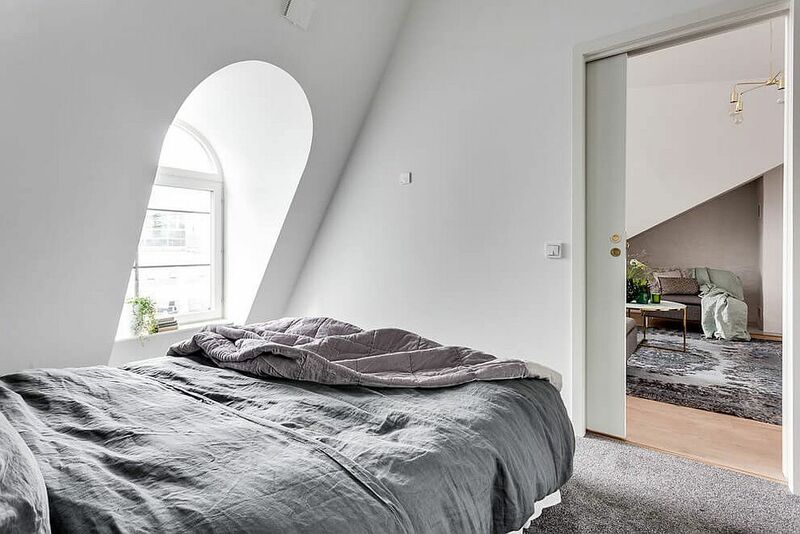 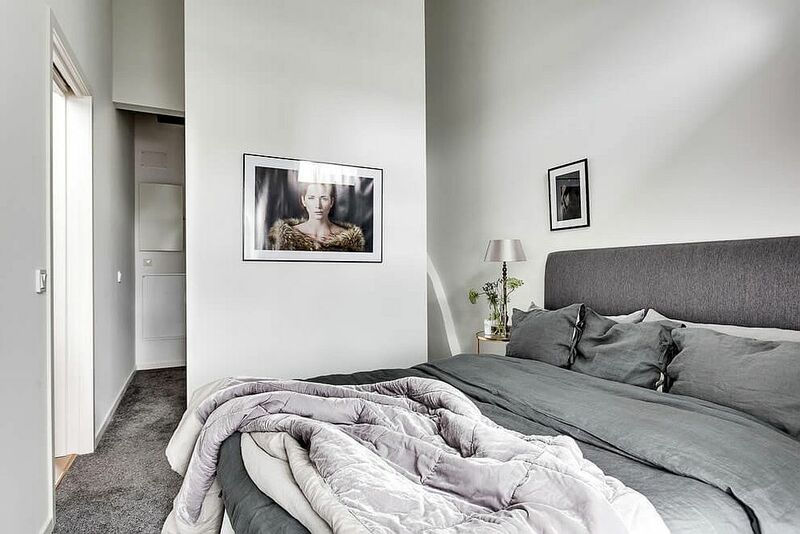 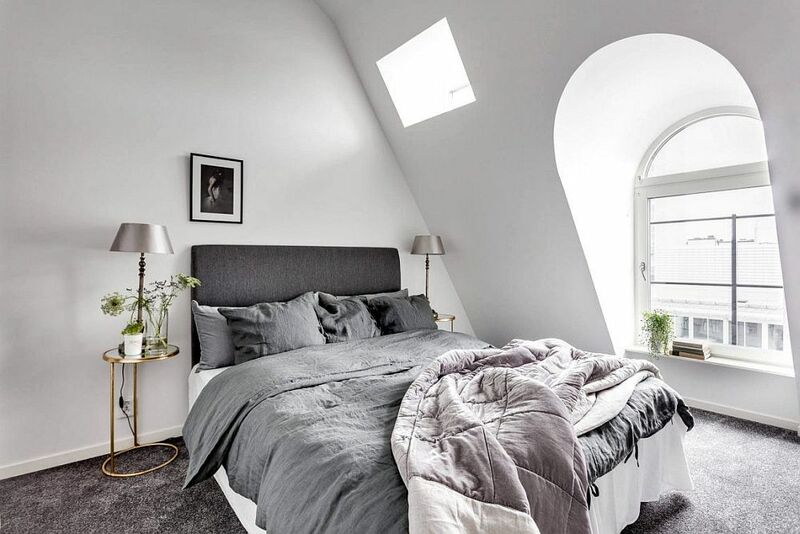 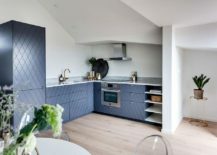 Choosing a style for the small attic apartment is all about making the most of the available space both in terms of aesthetics and functionality. 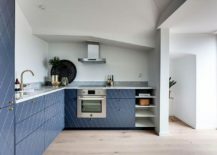 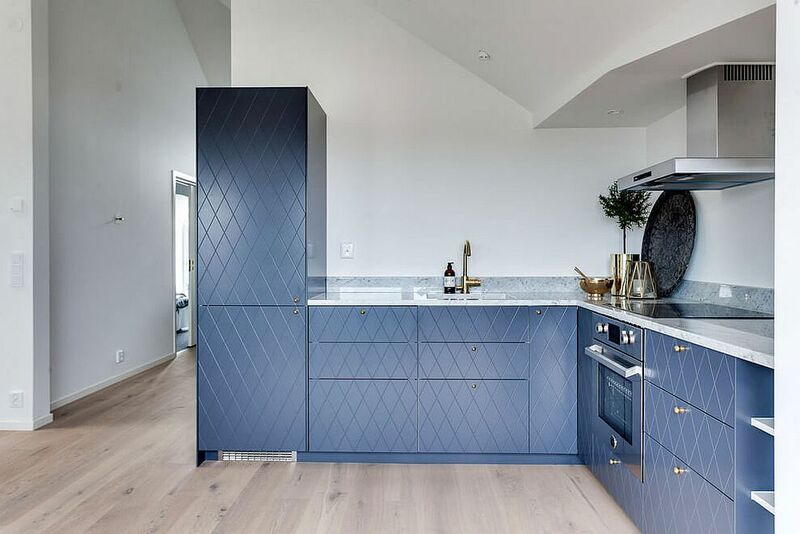 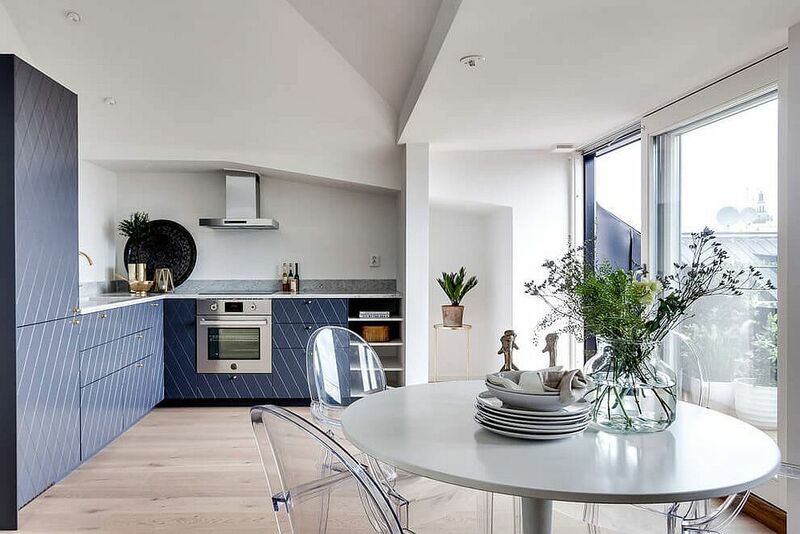 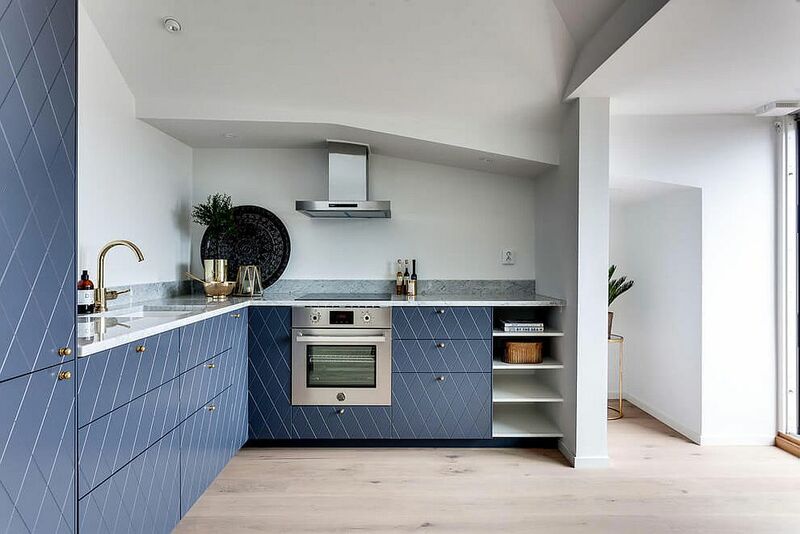 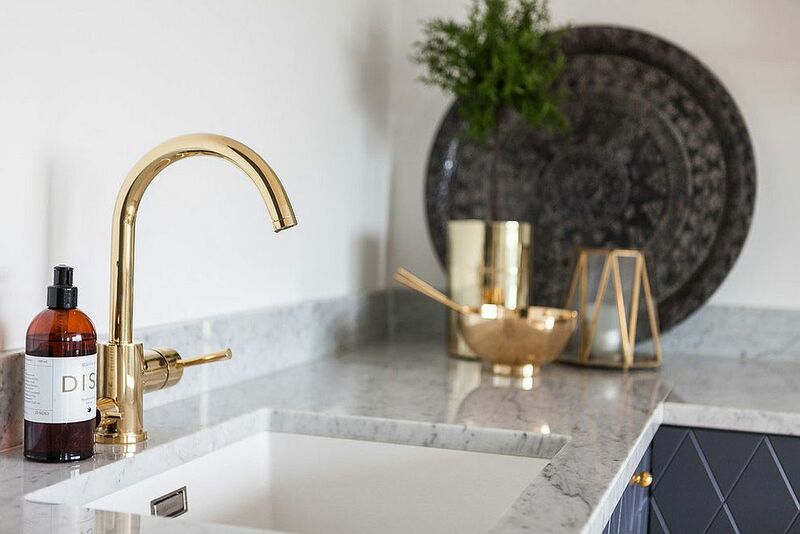 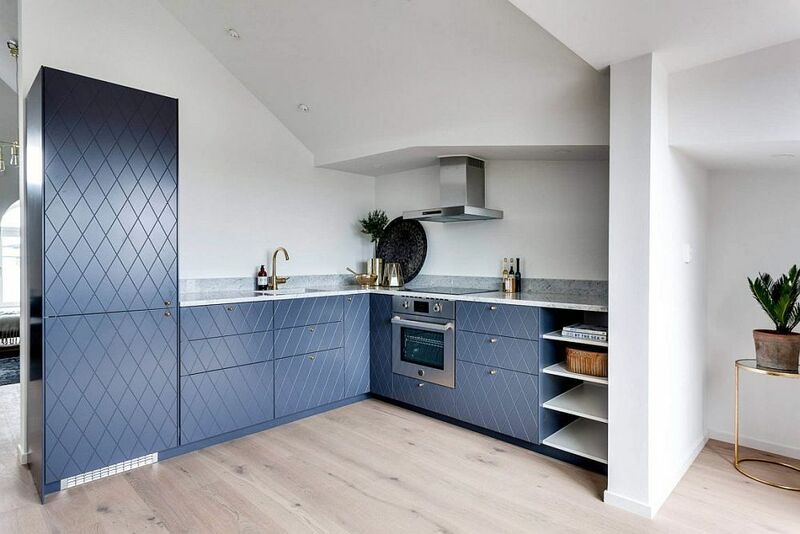 This not only means you usher in a few space-savvy cabinets and cool, hidden features that save precious square footage, but also think about a style that creates an appeal of cheerful openness. 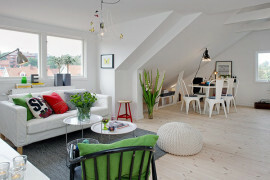 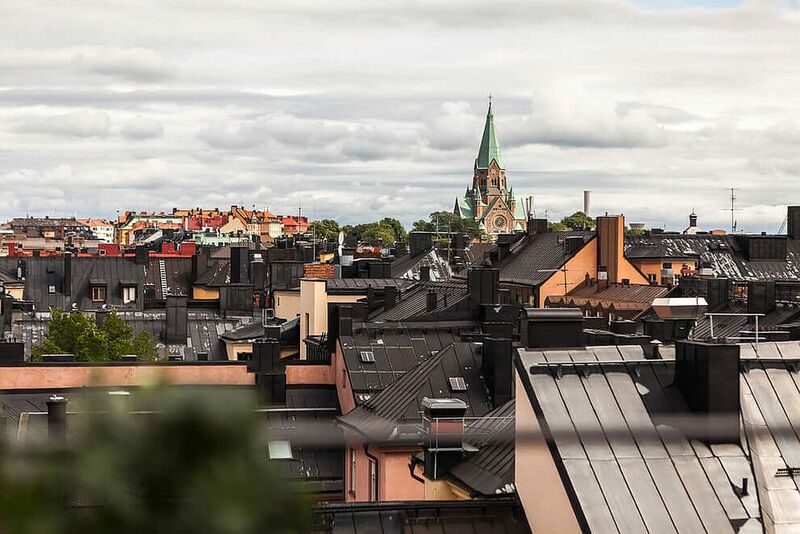 Few styles accomplish this with as much timeless charm and modern panache as Scandinavian. 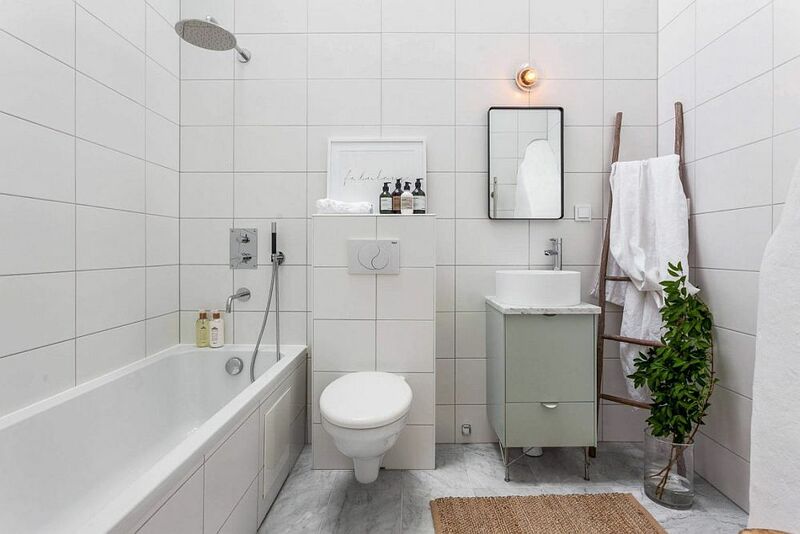 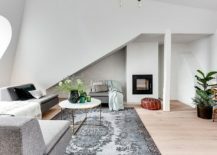 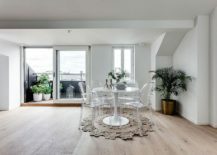 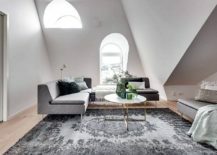 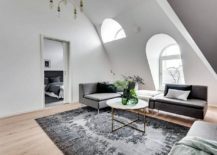 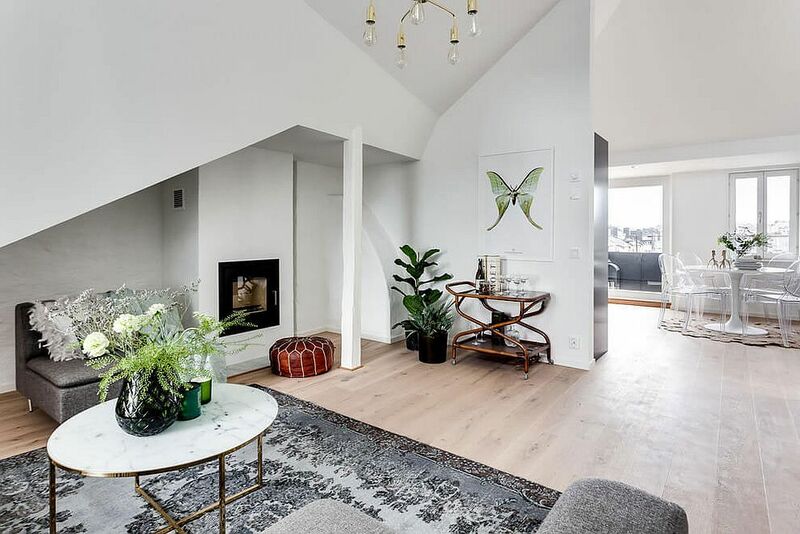 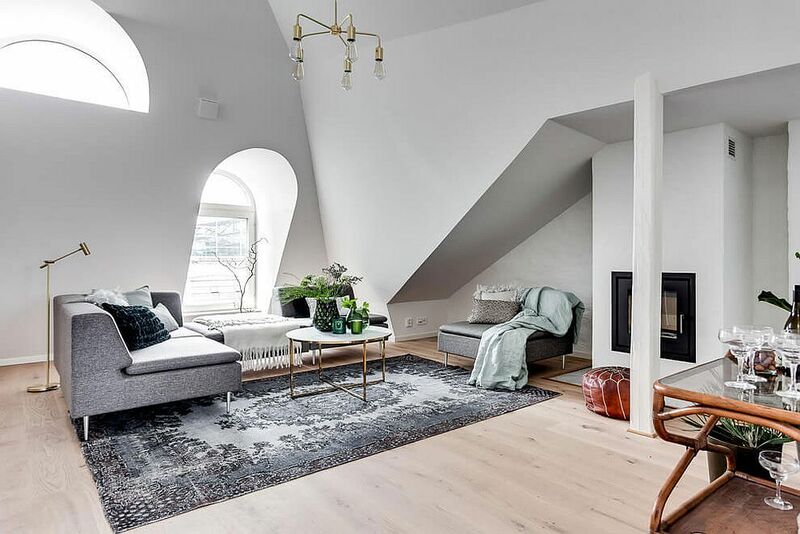 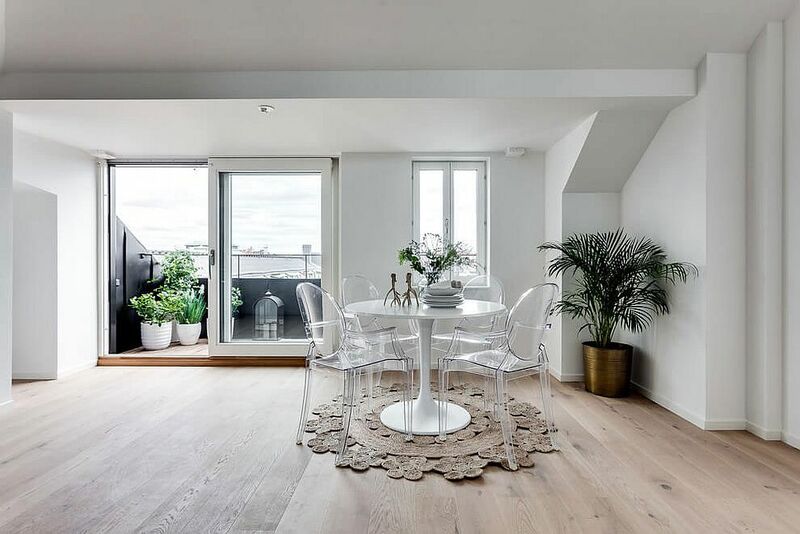 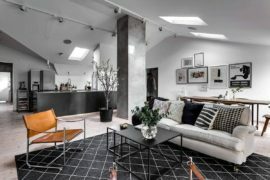 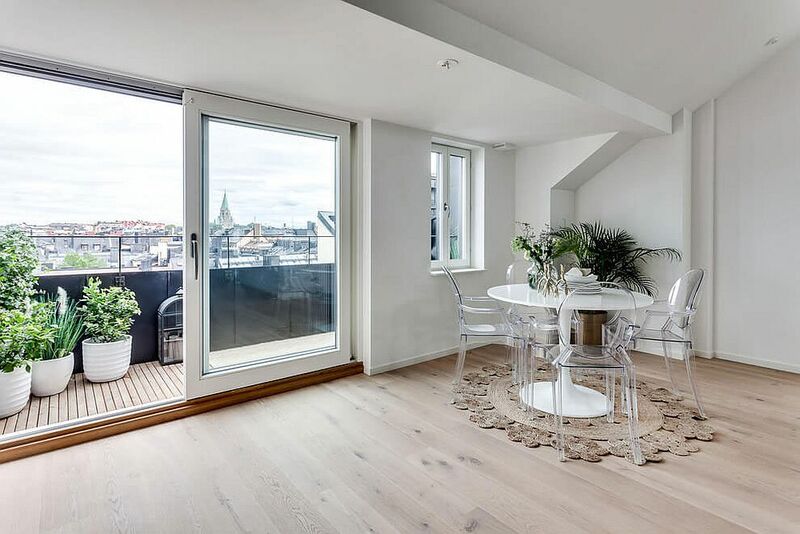 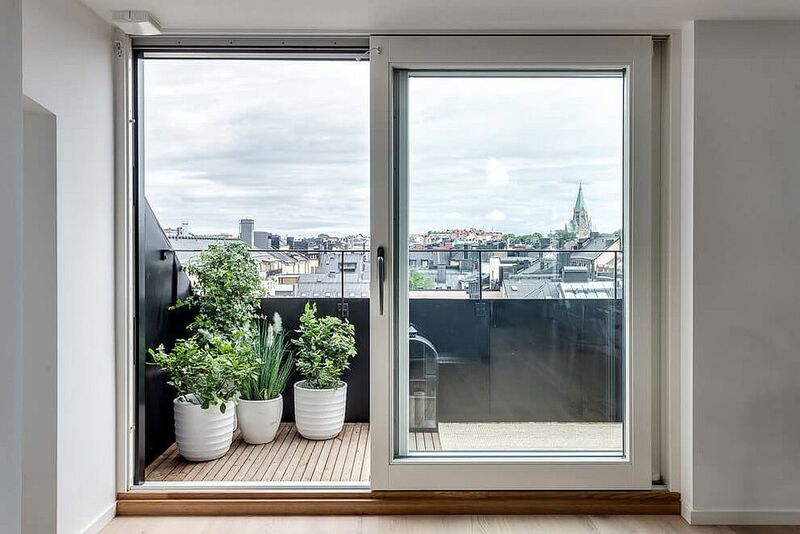 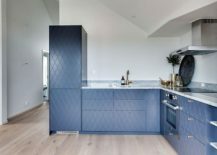 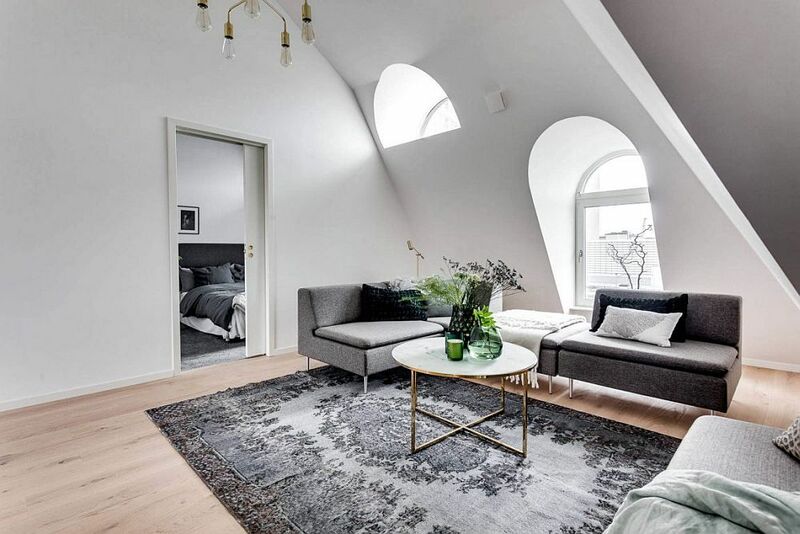 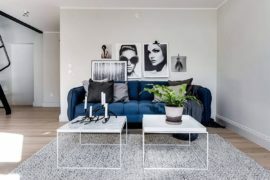 It is barely a surprise then that Concept Saltin turned to Nordic inspiration while shaping this modest attic apartment in Stockholm. 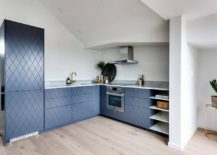 Instead of focusing far too much on adding more storage units and hidden shelves, the designers took a completely different approach with a ‘less is more’ philosophy. 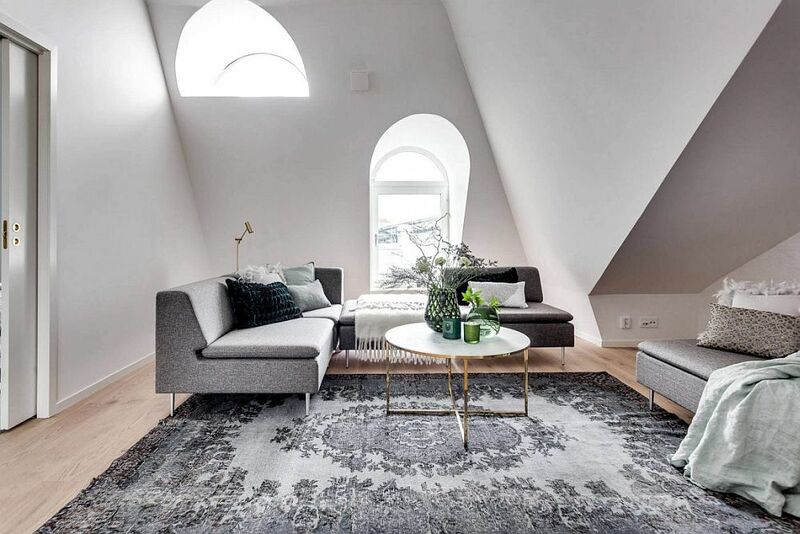 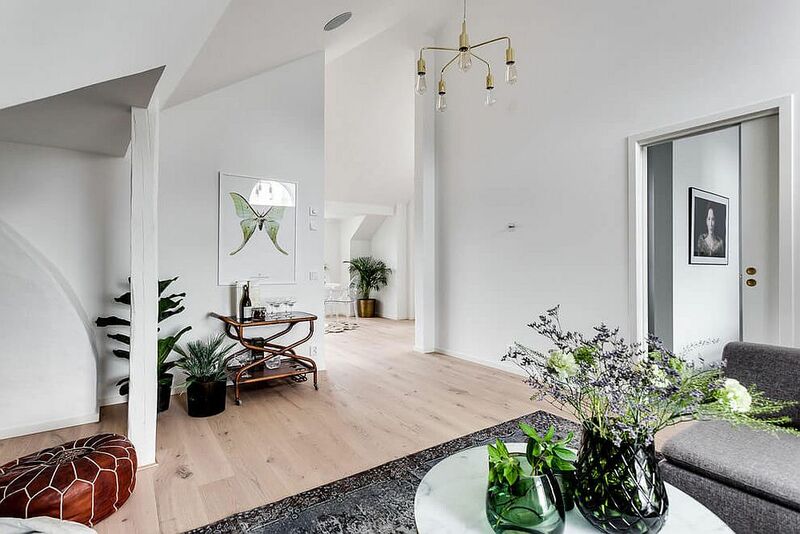 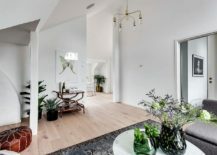 Low-slung living room décor ensures that everything seems proportional, even as the awkward nooks are utilized fully inside the open living space. 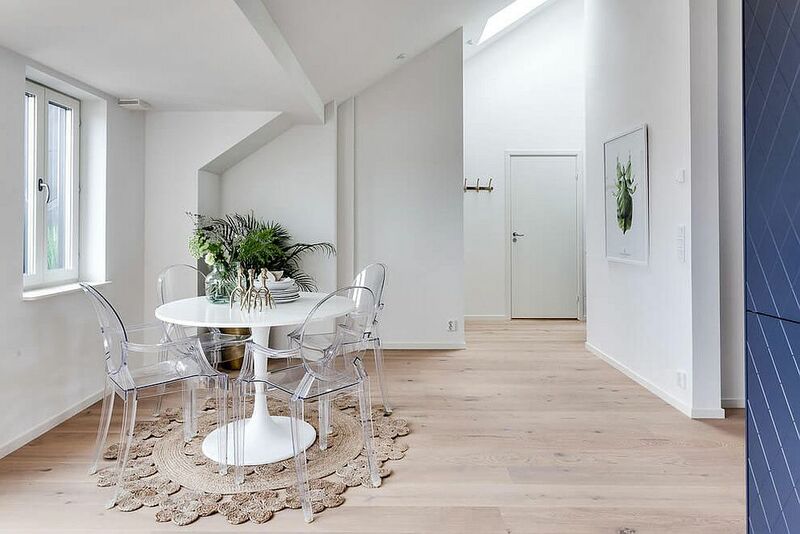 Connected visually with the dining room next to it, a cool white backdrop and décor in gray ensure that there is absolutely no visual fragmentation here. 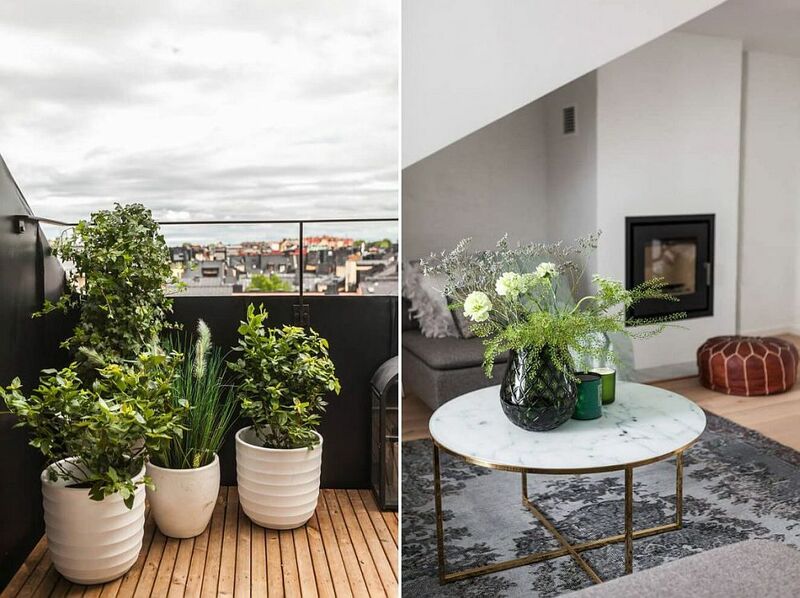 Pops of green with indoor plants and a brightly hued ottoman next to the sleek fireplace provide a hint of contrast and color.